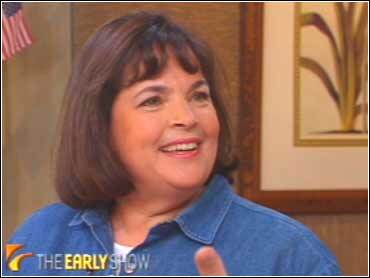 (CBS) - The Barefoot Contessa stepped in hot water when she turned down a request from a six-year-old cancer victim. The young boy's wish was to cook a meal with Ina Garten, but she reportedly declined the offer due to scheduling conflicts. Young Enzo was diagnosed with Acute lymphoblastic leukemia at the age of three, a potentially life-threatening disease that is found most often in young children. Enzo is a Food Network fan, and hoped to someday meet the celebrity chef. The Make-a-Wish Foundation reportedly approached Garten twice to arrange a meeting with the boy, but she refused the request both times. Enzo's family keeps a blog to support their ill child which tells the whole story. As news of Garten denying Make-a-Wish surfaced online, people understandably got a little upset at the Contessa. Apparently the uproar reached such a pitch by Monday that Garten agreed to meet Enzo, even inviting him to the Food Network studios, according to TMZ. But it may be too little, too late. Young Enzo isn't just going to sit around waiting for the Contessa to make up her mind. His second (and arguably much cooler) wish is already in the works: swimming with dolphins. Enzo's family, for their part, have been taking the situation with as much grace as possible. In a post titled "STOP THE MADNESS" they make it clear that neither they nor Enzo have any ill will towards Garten. "PLEASE change the energy from anger to love and support Enzo on the rest of his journey," they write.